No matter the budget, when looking for a massage chair you, want the best value for your money. There is a number of massage chairs on the market that claims to have it all. Many off-brand massage chairs are claimed to be the next best thing to chiropractors. While a lot of these claims are far from the truth, there is one off-brand company that never ceases to impress its users. According to many online reviews, Kahuna massage chairs are very popular, and now the company has a treat for its loyal customers. 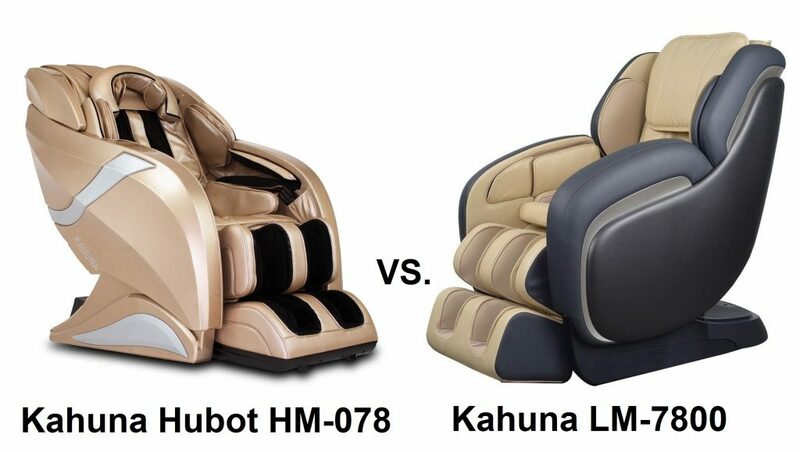 A newer model Kahuna Hubot HM-078 massage chair comes with even more additional upgrades than its predecessors. Largely Kahuna's success can be atribited to their best selling Kahuna 6800 model. 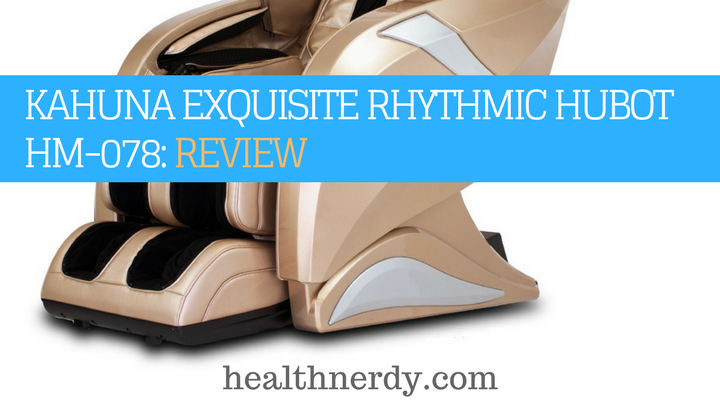 Due to a lack of reviews at the time of this writing, I decided to give it a closer look at this massage chair to decide if it fits the Kahuna standards. Kahuna is a recognizable brand name that has some loyal following and manufacture full body massage chairs on the market. It’s a tough competitor that at times offers more value to its users than some of the more expensive models. Often, Kahuna massage chairs come with high-quality massage techniques with welcoming and beneficial therapeutic features. Let’s have a look at the HM-078, a newer Kahuna massage chair model. 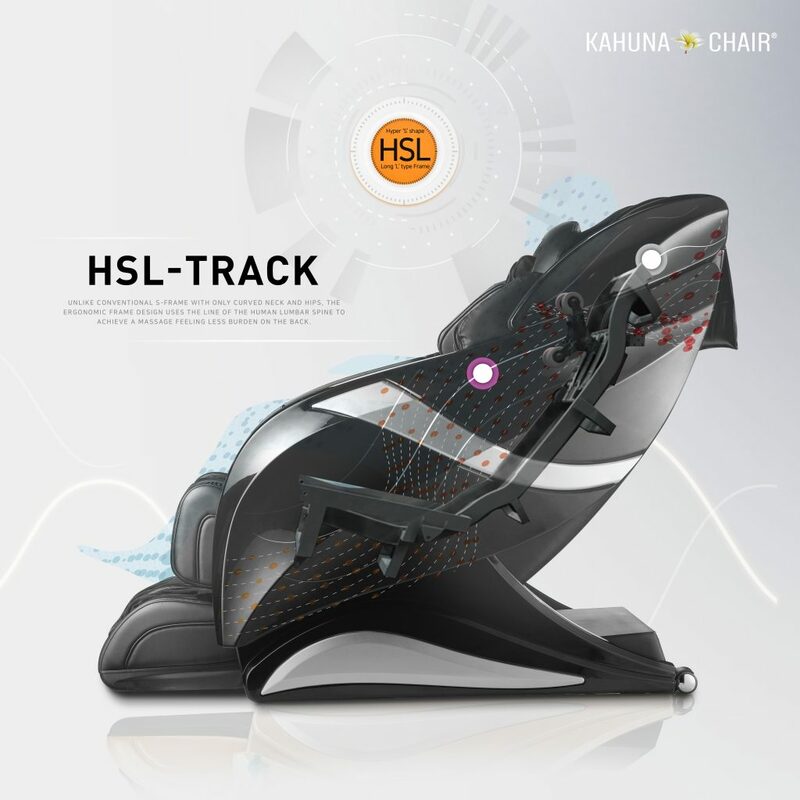 With an advanced HSL-track design, Kahuna sets high standards already at the beginning. A track is a mixture of the standard S-track and an L-track. This Hyper SL-track extends 52 inches. Apart from the HLS-track, the Kahuna Hubot also comes with a KMS-08M-225L system. This is another impressive feature that enables the massage chair to run a full hour without a necessary break. The massage balls come with very high elasticity and are able to provide an excellent massage experience. The Hubot HM-078 has fifteen pre-programmed massage techniques. All are designed to provide the best massage to its users. The intensity levels and the rollers can be adjusted to your preferences. Apart from that, there are six massage modes that include: kneading, kneading and knocking, shiatsu, tapping, knocking, and rolling. 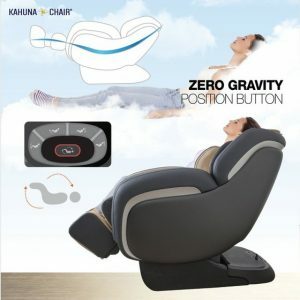 Zero gravity feature is a popular feature and a very common one in a number of massage chairs. Inspired by the NASA, it is also very therapeutic. Zero gravity massage enables a more thorough and deeper massage by releasing the pressure from your lower back. This option is very beneficial for users with back pain who are looking for a soothing and instant relief. 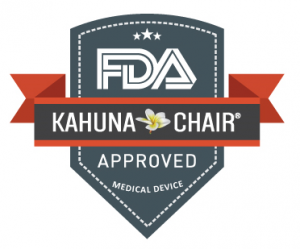 Kahuna Hubot has 107 airbags placed strategically on the chair. Air massage mode is very beneficial, but it is also a quite common feature with many massage chairs. The Hubot HM-078 goes one step further and enables the users to choose between five different intensity levels. Apart from that, you can also choose between a full body air mode massage or a separate area of the body, such as the head, shoulder, lower back, legs, and feet. On auto programs, the air massage mode is very strong, according to many Hubot HM-078 online reviews. When the massage chair scans your entire body, it locates your pressure points which results in a more thorough massage of a higher quality. Certain massage chairs enable their users to manually locate a pressure point in case the massage chair has left one out. We’re not sure if this is the case with the HM-078. It would be a nice addition to this package, but there isn’t enough online information to confirm this feature. Heat therapy is not something as common in a massage chair as we might think. There are many expensive models that lack this feature. On the other hand, many massage chairs that provide this feature, the heat is usually located in the lumbar area. Hubot HM-078 also has a heat option in the lumbar area. But this massage chair goes a bit further. It provides its users with an additional calves and feet heat therapy option. This is an excellent feature that’s both very beneficial and therapeutic. After all, it boosts circulation in all three areas. The downside of HM-078 is that the temperature cannot be regulated. While it would be a lovely bonus, this is very common with many massage chairs, even in more expensive models. A welcome addition to this massage chair is a head temple massage. 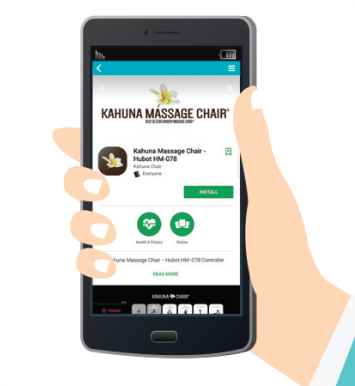 When dealing with stress and headaches, the Kahuna website claims this is the feature that can provide the ultimate stress relieving massage. This feature is quite unique, and you can turn it on or off separate from the rest of the chair. The rollers in the calf area provide an intense leg massage, which is definitely welcome for all those who spend a lot of their time on their feet. At the same time, there are double rollers in the foot area. They can move in different directions which is very soothing for tired feet. Moreover, you can adjust the rollers by choosing one of the three levels of speed control. On the other hand, the foot rollers are strong. Some users prefer to turn it off because they proved to be too painful on some massage modes. Overall, the heat therapy and the airbags in the calf and foot area only add an additional relief and benefit to the overall massage experience. A quite modern addition to the Hubot HM-078, this massage chair can be controlled via your mobile phone or tablet with an app. Additionally, you can also listen to music or an audiobook because this Kahuna has premium Bluetooth speakers installed. 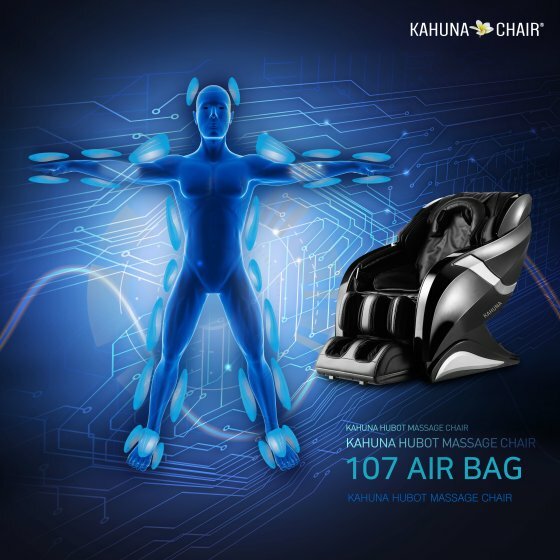 Kahuna Hubot massage chair comes from an off-brand company. Their massage chairs are manufactured by AJX.LLC, a company that brags with providing excellent massage chairs to their customers. Originally formed in 1997, the AJX.LLC strives to offer the best products on the market. Hubot HM-078 massage chair is manufactured in China. Kahuna Humbot massage chair comes with a three-year warranty. 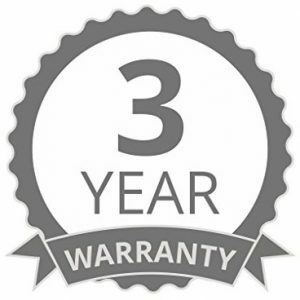 For further details, you can have a look at the warranty here. This massage chair is available in two colors: champagne and black. We weren’t able to find any information on the material of the chair, but all previously reviewed Kahuna massage chairs were made of synthetic leather. You can download the HM-078 manual as the pdf file here. The company offers free shipping, but it’s recommended you purchase White Glove delivery for an additional fee. The company claims they ship all over the world, but the delivery costs vary from country to country. The Kahuna website claims this massage chair is able to fit perfectly to users up to 6’2” and is it very comfortable for users up to 350 lbs. With the two massage chair from the same brand with the same price tag, we’ve decided to compare and decide which one brings more value to the table. While the Hubot massage chair comes with a three-year warranty, the LM-7800 boasts with a five-year warranty. Since you cannot purchase an additional warranty for the Kahuna massage chairs, the LM-7800 might be a better choice in this case. 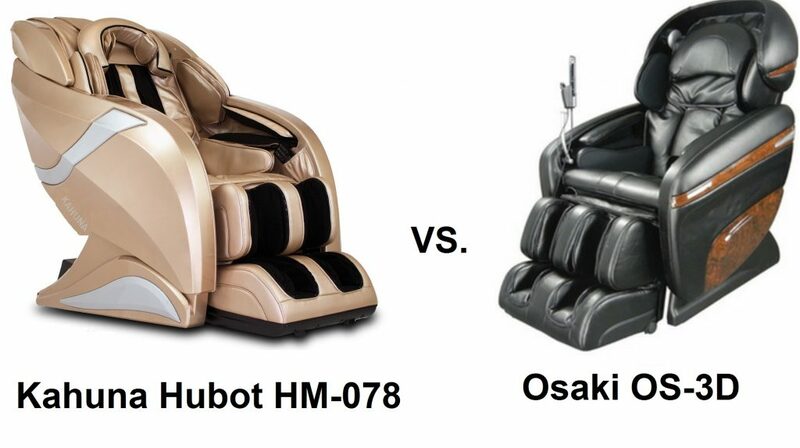 In terms of the massage techniques, both massage chairs provide the same; the only difference is that the Hubot massage chair has one additional technique, namely knocking. Both massage chairs offer zero gravity feature. 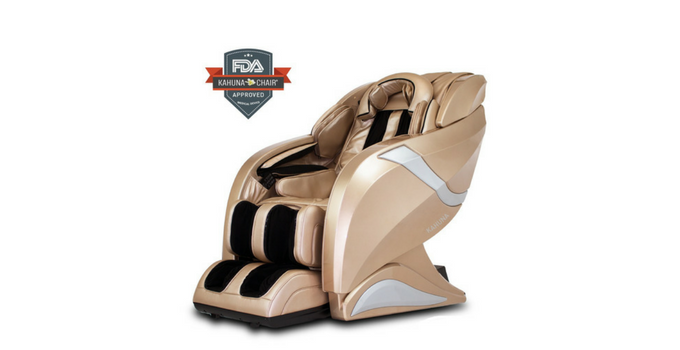 While even one stage of Zero-G is beneficial as in the case of HM-078, the LM-7800 provides three levels of recline which adds up to the overall massage experience. Kahuna LM-7800 comes with 4 basic auto programs. These include back, waist, seat, full-body, and fixed spot. Hubot HM-078 upgrades all these to 11 auto programs. Both massage chairs provide full-body massage, a fixed spot massage, and a partial area of choice massage. 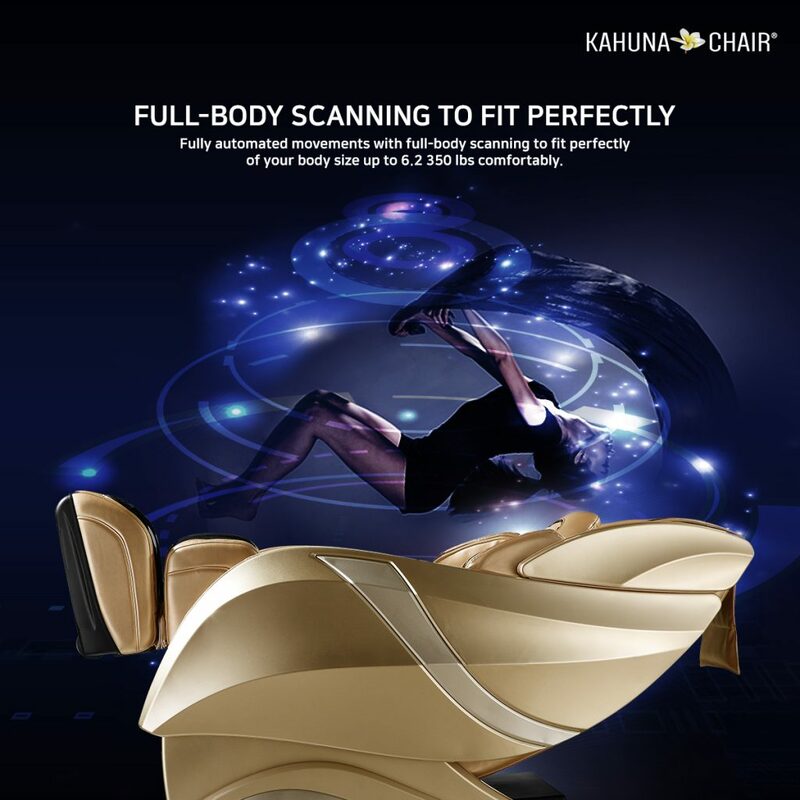 Kahuna HM and LM both come with a full body scan and cover same massage areas. Both are a very good choice for those who suffer from chronic pain and the casual users alike. The differences between them are minor, but the HM-078 does come with a wider array of massage options as well as heat massage, even though it lacks in some other features. The space-saving design is a very welcome Kahuna feature, and the fact that they’re both FDA approved medical devices is only an additional plus. 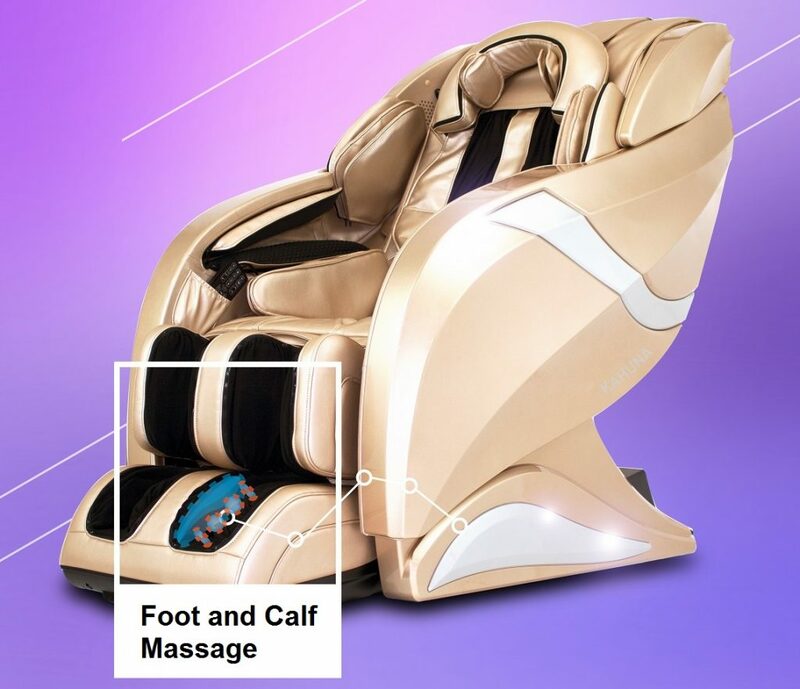 As a top pick for many massage chair users, the Osaki OS-3D is an advanced massage chair that is known for its quality that can satisfy even the more demanding users. Air massage mode is a beneficial feature in both of these massage chairs. While the OS-3D airbags are able to link well with the other massage functions and provide an excellent massage, it only has 36 airbags placed around the massage chair. The Kahuna boasts with 107 airbags and is definitely more advanced from this point of view. The Osaki OS-3D comes with dual feet rollers that make the chair much more effective. While a lot of massage chairs leave this feature out, the Kahuna comes with three foot-massage rollers that can provide even a more extensive massage. Osaki Pro Cyber cannot compete with HM-078 in heat therapy feature because it only provides heat therapy for the lower back. While beneficial, Hubot massage chair offers more by enabling heat therapy in the back, foot, and calf area. Both massage chairs share the same features with minor variations. They are both therapeutic and provide good value in terms of massage and options to their users. The general downside is that there is limited online feedback for both of these massage chairs. Osaki may be one of the most innovative leaders in the massage chair industry, but many of the Kahuna massage chairs have been named most popular by the online reviews and users. 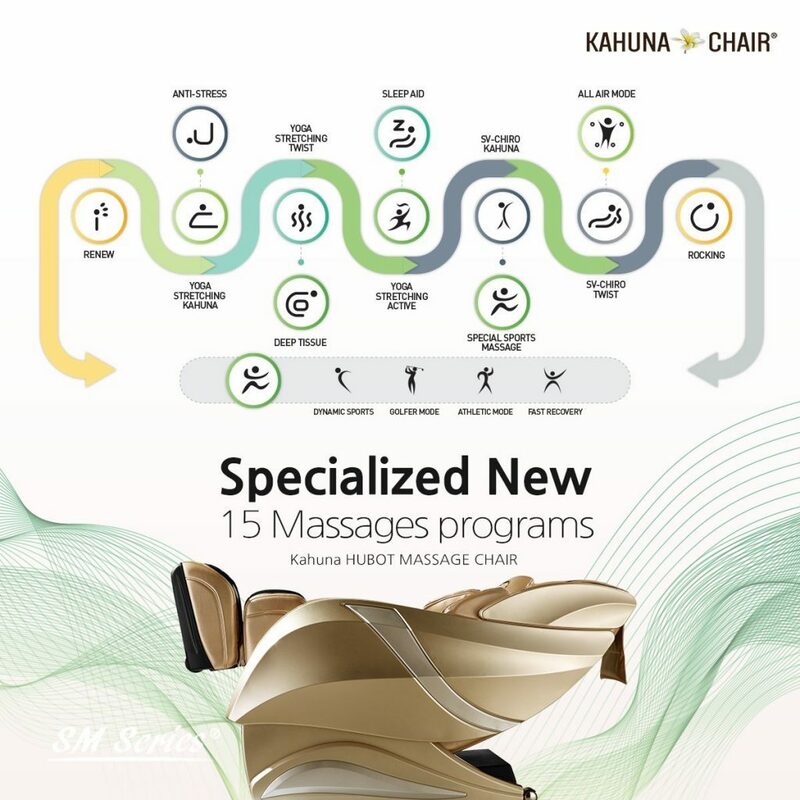 Many of the Kahuna massage chairs have extensive features that are praised by many users. In other words, Kahuna massage chairs seem to be an excellent value for money. An FDA-approved medical device, Kahuna Hubot HM-078 is a massage chair that is both rich in features as well as the therapeutic benefits. With its many massage techniques and modes, it can provide an instant relief to all those suffering from back pain or leg pain. With massages lasting up to 60 minutes, Humbot HM-078 is quite extensive in what it has to offer. With a number of airbags and heat therapy, it seems very promising. The fact that it can accommodate users up to 6’2” is just another bonus that can make this massage chair a preference among many others. The fact that the temperature with heat therapy cannot be controlled, is a bit disappointing. This could a bonus that tips the scale. We like the Bluetooth speakers, but for this price, the massage chair could come with a memory function. The foot rollers might be too strong, but you can always turn them off or set the intensity on a minimal level. Hubot massage chair seems like a great catch all in all, but due to the fact that it lacks online reviews, it’s difficult to tell if it’s really worth it. Kahuna massage chairs have the fame of being both good and popular, but just in case we’ve prepared a comparison with a few other massage chairs to ease your decision.